Boston movie theaters feature everything from first run movies to indie films, foreign language movies to art movies, and lots in between. In addition to Boston's large number of traditional movie theaters, museums and universities provide additional venues for film buffs. You'll even find second run movies (and save on lower tickets prices! ), science, nature, and avant-garde cutting edge experimental films in movie theaters in Boston. And let's face it - since we can all watch movies, if we choose, on our phones or our home screens, theaters have to provide something special in order to compete - and Boston's movie theaters deliver. Boston's thriving movie theaters succeed by providing something extra - cool ambiance, super-comfy reclining seats, huge screens, premium sound, wine and beer at your seats, and even popcorn flavors created by top local chefs - so you'll find more to enjoy than just the chance to see a film. Our guide also includes theaters near Boston such as Brookline, Cambridge, and Somerville - all easy to get to by T (Boston's subway). 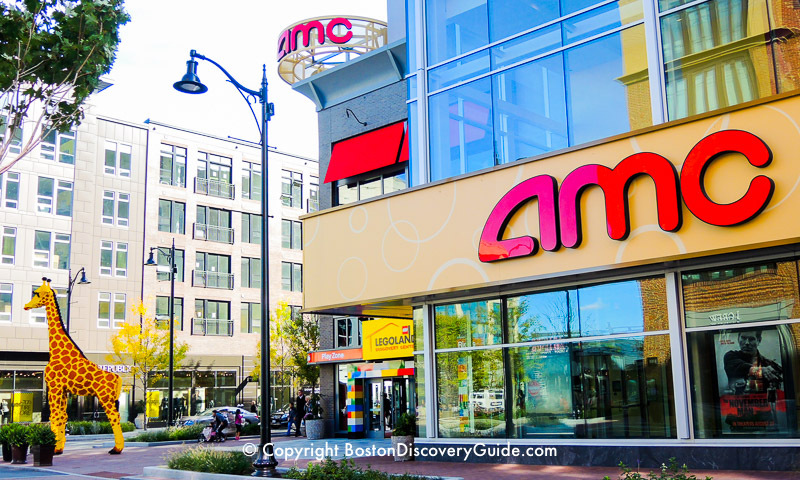 The huge AMC Loews Boston Common movie theater complex features 19 screens showing mostly first run films. 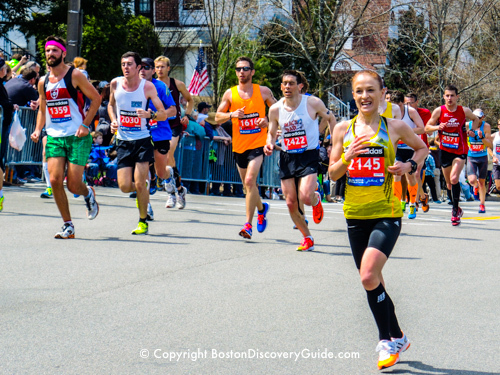 Occupying a prime location across Tremont Street from Boston Common and next to the Ritz-Carlton Hotel, the cinema's convenient location makes it easy to reach. Bonus: Go to dinner, coffee, or drinks before or after your show at the nearby Theatre District restaurants along Washington Street, or at some of the fun places to dine in Chinatown, just a block or two away. With gourmet popcorn flavors designed by Boston's top chefs, craft beers, and specialty sodas - oh, and reclining heated seats with swivel tables - the ShowPlace ICON at Seaport has raised the bar for all Boston-area movie theaters. And that's even without considering the immersive audio and wall-to-wall laser-projection screens, making it one of the most technologically advanced movie theaters in the country. The theater becomes 18+ after 8pm. Bonus: Prices vary with showtime and format but are generally only slightly higher than at other area theaters - a small enough premium to pay for this level of movie-viewing luxury. Before or after the movie, enjoy the harborside Seaport restaurants nearby. As you recline back in your seat and view the slightly curved, enormous 65' x 85' screen at the Simons IMAX next to New England Aquarium you'll almost feel like you're underwater with the sea creatures that star in most of the films that this theater features. Bonus: Save when you get a combo ticket for New England Aquarium admission and an IMAX movie. 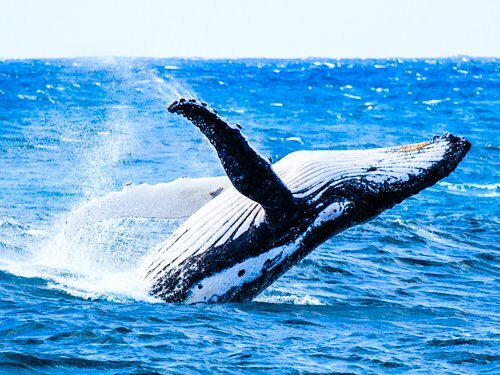 During the summer, join a whale watching cruise to get a close up look at whales, dolphins, and other marine life. You'll find mostly first-run commercial movies at the 13-screen Regal Fenway Stadium theater, a favorite with students from Boston University and other nearby colleges and universities, as well as professionals living nearby in Fenway and Back Bay. Bonus: Premium sound and screens. Before your movie, go for dinner at a Fenway restaurant; after, check out the Fenway nightlife. Experience immersion theater as the world's largest film format is projected onto a five-story-tall IMAX® Dome screen and a state of the art audio system surrounds you with sound. The Mugar Omni Theater, located at Boston's Museum of Science, features science, nature, and exploration films. Bonus: Combine a film at the Mugar Omni IMAX Theater with a visit to the Museum of Science; when you have a Boston discount card, you get free admission to the Museum. With plush leather seats (including some that recline), private 2-seat "pods" perfect for snuggling along the sides, and immersive IMAX and 3D options, Assembly Row AMC offers a premium experience and first-run movies. 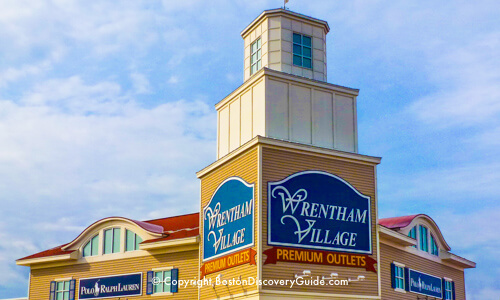 Bonus: You'll find lots popular brand (Banana Republic, J Crew, Nike, etc) factory outlet stores in Assembly Row, plus plenty of fun restaurants and bars. Take the T (Orange Line), or drive and park in the garage next to the theater. One of the best indie movie theaters in the area. Originally built as a church in 1906 and reborn as an Art Deco movie palace in 1933, this venerable Boston-area theater almost succumbed to competition from huge suburban multiplex cinemas in the late 1980s. After strong community support pulled it back from the brink in 1989, it became a non-for-profit theater and maintains its strong following by screening an interesting mix of foreign language, indie, art, popular, independent, local, and first-run films. A popular children's series and many movie-related events round out the offerings. arvard Street, and around the corner on Beacon Street. Specializes in classic, indie, foreign, and art films, including occasional first run movies in these categories. Especially interesting are their repertory programs showcasing the work of a particular director, genre, or actor. Occasional live music performances and special readings/book signings by authors are well-worth checking out. Warning: you may swear that the seating hasn't been updated since 1953 when movies started being shown here - best to just think of it as part of the ambiance. Bonus: Stop by Burdick's (52 Brattle Street) for their superb hot chocolate. The 9-screen Kendall Square Cinema wins hoards of loyal fans with its eclectic mix of foreign language, restored classics, independent, and documentary films, plus Boston premiers, film festivals, and special screenings. Mix of first and second run commercial movies plus art, cult, and indie films in hip Davis Square, Somerville. The Somerville Theatre also hosts interesting live productions and shows, as well as film festivals. The Somerville Theatre is a former live theater that's been converted to a movie theater but still does double-duty as a real theater/performance/concert venue when films aren't showing. Sound interesting? It can be very interesting . . . just ask those who caught U2's latest performance here. The theater is just steps from the T station, as well all the other cool Davis Square restaurants and bars - Redbones BBQ, Diva, Johnny D's, and much, much more. This could easily become your favorite spot to catch a flick in the Boston area. Bonus: Unlike any other commercial movie theater in the Boston area, the Somerville Theater serves beer and wine, good eats such as Richardson ice cream, and even allows you to bring in outside food. After the show, as a bonus, you can drop by the Museum of Bad Art, located in the basement. Another bonus: movie tickets are reasonably priced. The Boston Public Library periodically shows movies, and they're usually family-friendly - and free. In addition to movie listings, be sure to check out the Library's concerts, lectures, and children's activities. Sometimes movies are shown as part of a lecture. Plus, the older part of the library has museum-quality art, and the light-filled new section offers comfy seating and several fun cafes/coffee bars - there's a lot to love here! Admission to the library is always free. If you speak (or understand) French, you'll want to see if their events schedule includes movies. Periodically, they feature a Cine-Club (or similar event) for children every Saturday. You can watch films from the Harvard Film Archive in Harvard's 200-seat Carpenter Center theater on Friday, Saturday, Sunday, and Monday nights year-round. Selections are chosen from the 14,000 film (and growing) archive, and typically cover a wide range of genres and countries. Carpenter Center is becoming a film-viewing venue of choice as the archive grows. Cinema tickets go on sale 45 minutes before the show. The MFA's almost continuous offering of films includes foreign films, classics, independent films, local films, and avant-garde experimental films. A number of annual film festivals, Boston premiers, exhibit-related films, and presentations by film producers and directors round out the ample offerings. You'll normally find lots to choose from here, and the selections are often things that you won't see elsewhere - so if you like the genre's that MFA shows, they're definitely worth checking out. ICA Boston typically shows lots of films - sometimes in combination with art, sometimes as special presentations, and often as part of their popular social events. If you're interested in contemporary, independent, and art films - and perhaps a cool place to meet others with similar interests - ICA Boston is a good place to check.